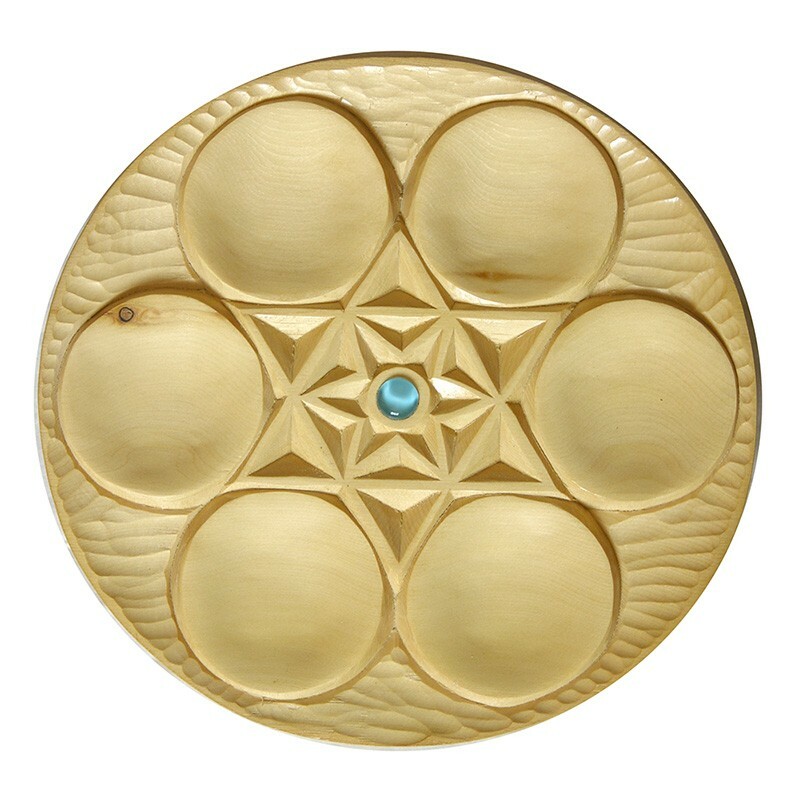 Artist Gabriel Bass individually carves each Seder Plate from old-growth Yellow cedar. 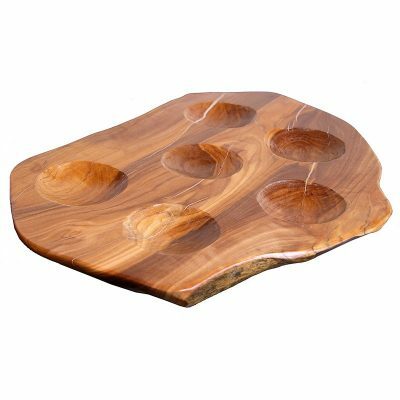 Each seder plate includes six washable glass dishes, which can be laid over each of the species. 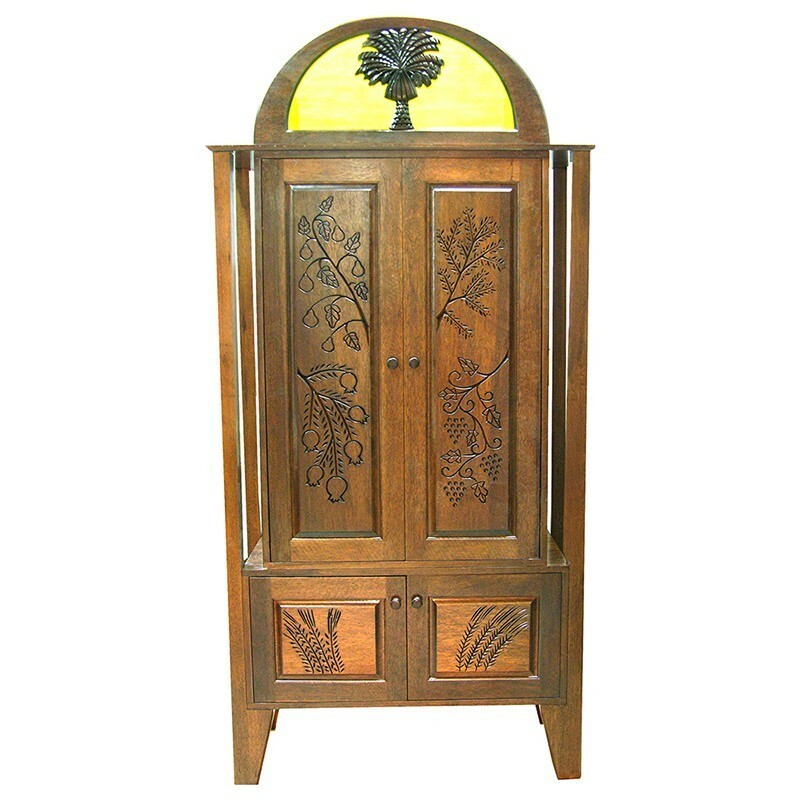 Carved pattern in the middle is decorated with central inlaid glass. 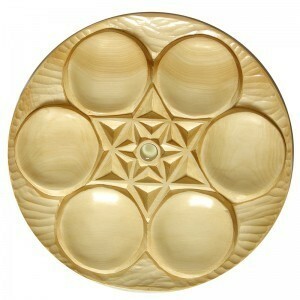 The seder plates are available in light, dark, or two-tone finish. They can be engraved on the back with pasuk, names, or dates for that special gift. They are finished with durable washable three coat lacquer. 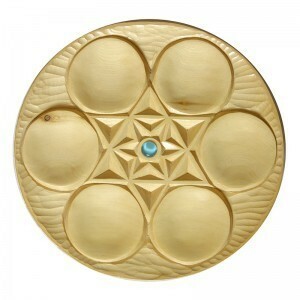 These hand carved wooden seder plates are individually carved by hand, each a little different. Many are currently available for sale in dark or natural light finish. 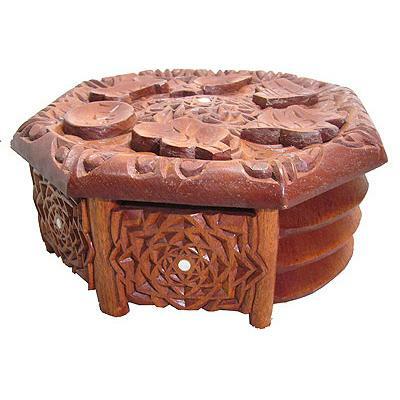 They can be commissioned in African Walnut, Yellow Cedar, or other wood upon request. 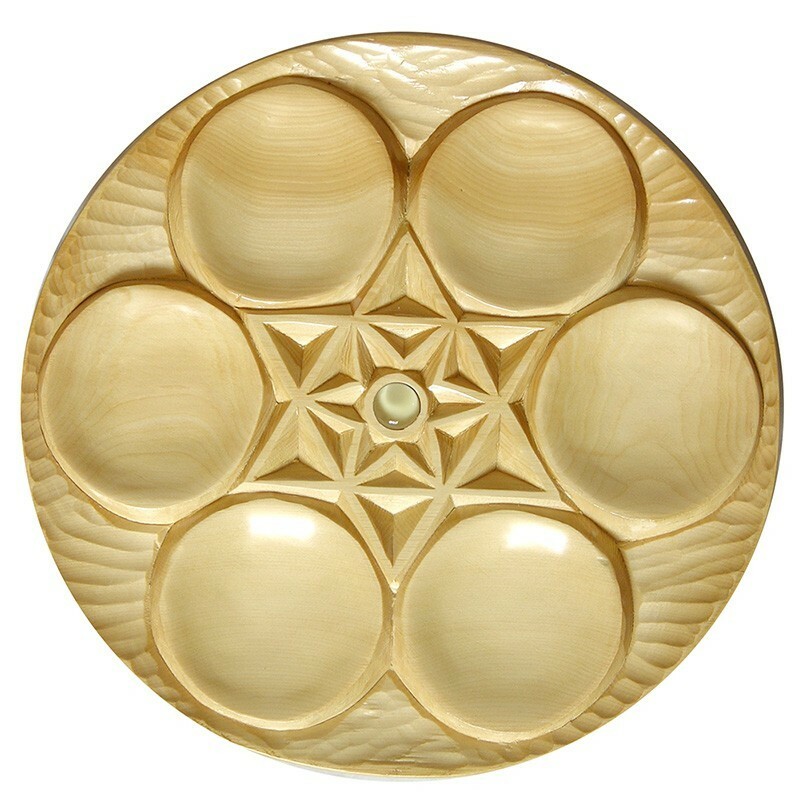 Hand carved seder plates make the perfect Jewish wedding gift for the new home. They can be personalized by engraving the names of the bride and groom and date of the wedding onto the back. Or we can add a pasuk or wishes from the giver. 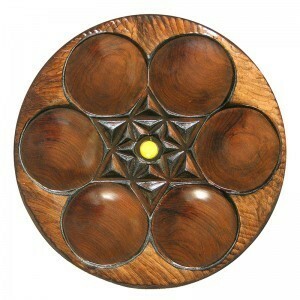 The seder plates can be displayed throughout the year on plate wall mounted displays. 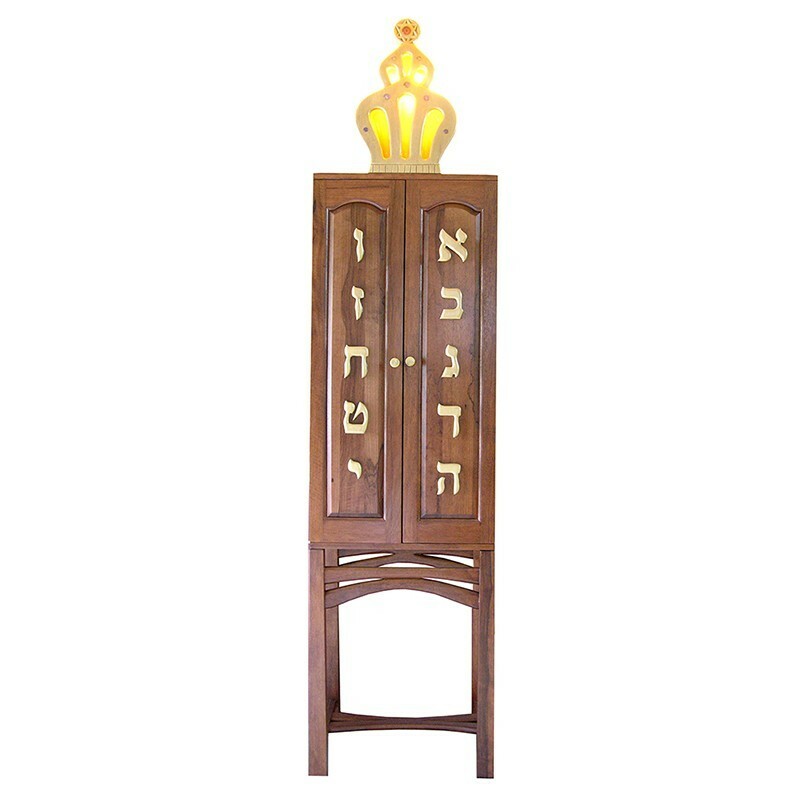 Made in Israel, easy and affordable to ship. Contact us today for more information regarding these seder plates or other custom Judaica items.